When talking about car rental insurances, things get messy. We offer you this comprehensive, practical guide so you can finally get it. 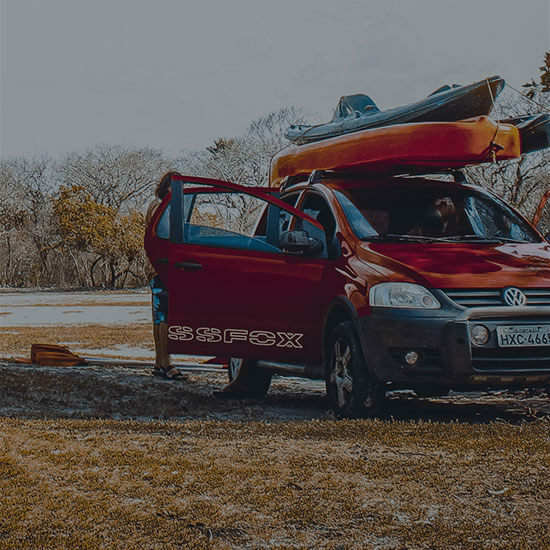 First thing you should know is that car rentals do not have insurances as do private cars, but coverage, and conditions may differ from what you are used to. Coverage and cover conditions depend on the car rental company, even if they go under the same name. Covers and conditions must be specified on the renting contract. Car rentals do not have insurances, but coverages, and conditions and covers depend on the car rental company. To get a rough idea, the amount of the franchise -which must be specified in the terms and conditions - can cost anything from a few hundred to a few thousand euros. And some car rental companies could block that amount in your credit card when signing the renting contract. The franchise is the maximum amount of money you will have to pay in case your car rental is damaged. After returning the car, the car rental company will check the vehicle. Provided the vehicle is returned in the same state as rented, you won't have to pay any surcharges. In case of damages, you will waive liability for the corresponding amount of the franchise, and nothing else. Unless it is demonstrated you were driving in a negligent way. In such a case, coverage and franchise won't cover the damages, and you will have to assume all expenses. The same will apply if the money has been blocked in your credit card. If no problems arise, your money will be unblocked and the deposit will be fully refunded. Depending on the company, this can take up to a month, a reasonable period of time the car rental companies wait in case some fine or damage may arrive. Keep in mind that as long as the money is blocked, the car rental company will not be able to use it, nor will you. The amount of the franchise is usually blocked in your credit card account. As long as the money is blocked, the car rental company will not be able to use it, nor will you. What if I don't want the car rental company to block my money? You should know that car rental companies apply two different retentions, that might look the same, but actually they are not. One the one hand, there is the franchise, that comes with the coverage, and on the other hand there is the deposit. Both deposit and franchise will block your money, but they are not the same thing. You already know what a franchise is. In order to avoid the franchise, you can buy a "coverage without franchise". It is more expensive, but the coverage will cover all damages, and no money will be blocked in your credit card. On the other hand, a deposit is the amount of money that car rental companies require to cover charges that may occur during the renting, such as fuel or fines. And it is up to each company to ask for it. In order to avoid the franchise, you can buy a "coverage without franchise". It is more expensive, but the coverage will cover all damages, and no money will be blocked in your credit card. So, Is it worth to pay the franchise? How does it work? Let's illustrate it with a real case. You want to rent a car -small category- for three days in Alicante. The "Comprehensive Coverage with franchise" option costs around €70, with a €267 franchise. The "Comprehensive Coverage without franchise" option costs around €90. To save money, you choose to buy the option "with franchise". If you have no problems at all, let's cross your fingers, you save €20. Now, let's say you crash into a tree, causing damages for a total amount of €250. Then you will have to pay €250 for the repair. In this case, you save €20, and you end up paying €250. It is up to you to decide whether it is worth to pay. But you can base your decision on your sinistrality: if you have more than one claim a year in your private car insurance, then the franchise is unprofitable for you. Remember that statistics say that your accident risks increase with a rent car. It is profitable to buy a coverage without franchise if you have more than one claim a year on your private car insurance; Keep in mind that your accident risks increase with a rental car. Can I decline the insurance from the rental company if my credit card already has insurance? The most common thing is that if your credit card includes an insurance for a rental car, it only includes the CDW, which is the most basic one. So, you would have to decline the basic insurance contract when booking the car and you'll probably will not get any compensation for this, since the CDW is already included in all base prices. Some rental car companies charge management fees for processing any reports of an accident - when the insurance has not been provided by them. Another factor to take into account is that credit cards such as MasterCard, which incorporate this coverage, operate on a refund basis. This means that if you have any type of accident you have to pay and then you get reimbursed. However, when you pick up the vehicle you will always be offered some type of extensions. You can accept these additional coverages or decline them. TPL, or "Third-Party Liability". All car rentals are covered by law by the civil liability and obligatory third party liability insurances. And it is included in the price, always, in all companies. It covers driver's liability for the damage to a third party belongings, but not to the car rental. It also includes damages caused by the driver to third parties, inside or outside the car rental. By signing the car renting contract you accept these insurances. Third Party and Civil Liability Insurances are mandatory by law, and are included in the car renting price. The Collision Damage Waiver is an optional coverage that reduces financial liability for the damage to the car rental. Most companies -but not all! - include this coverage in the car renting price, besides the obligatory insurances afore mentioned. It is associated to a franchise and, in case of accident or damage to the car rental, you will only have financial liability for the amount of the franchise. Usually, CDW does not take liability for damages to wheels, tires, glasses, locks, broken or lost keys or remote controls, upholstery, clutch, towing charges, or damages caused for a wrong refuelling. But keep in mind that every company defines what is and what is not covered. Read the terms and conditions of the contract. CDW is an optional coverage that covers damages to the car rental. It is usually included in the contract, but every company defines what is included. SCDW or Super Collision Damage Waiver, or the name the company just made up. It is just like CDW, but with vitamins. Like a comprehensive insurance. It may be associated to a franchise or not. It does cover damages to things not included in the CDW, such as glasses and tires. As usual, you should read your terms and conditions to check what is included in the coverage. Remember: if you buy a SCDW without franchise, you will have no liability on the damages to the car. If the car rental company allows you to do so, buying this coverage will allow you to pay by debit card. And the opposite is also true, if you want to pay by debit card, you could be asked to buy this coverage. SCDW is similar to a comprehensive insurance. It may be associated to a franchise, or not. TP or Theft Protection, is a coverage that reduces your liability in case of theft or attempted theft. In most cases this coverage does not hold full liability of the value of the car, and it may be associated to a franchise. So, in case of theft or attempted theft of the car rental, the franchise will be the maximum amount of money you will be liable for. Besides, Theft Protection does not cover personal belongings. However, many travel, home or credit card insurances could cover these contingencies. Please be careful, in case of negligent driving the car rental company could waive all liability for the car rental value on you. TP is an additional coverage that covers the loss of the car rental in case of theft or attempted theft. It is associated with a franchise. The PAI, or Personal Accident Insurance, or Passenger Insurance. It is an additional coverage that covers you and passengers in the event of death or permanent disability. This is usually not covered by other insurances. This coverage can also cover theft of personal effects if inside the luggage compartment. Some travel, home or credit card insurances, could take liability of these problems. PAI is an optional coverage that covers driver and passengers. This additional coverage includes road assistance, but is not liable for the damage or failure. Useful if you happen to have a car malfunction. RSN is an optional coverage that covers road assistance. First and foremost, remember that all companies must include, by law, the civil liability and obligatory third party liability insurances. Most companies, but not all, will also include a CDW. Better than nothing. All companies must include, by law, the civil liability and obligatory third party liability insurances. In our opinion, the best option is to buy a comprehensive coverage. Why? Because no matter how an excellent driver you can be, you are renting a car you do not know. Volumes are different, and so is manoeuvrability and car's reaction. What is more, you will be driving in unknown roads, which adds a kind of uncertainty factor that will turn your driving not so safe. OK, you convinced me. I will buy a comprehensive coverage but, with or without a franchise? If you are not clear about the differences, read this article again... To us, the best option is a coverage without franchise. You may pay more money at the beginning, but let's think of it as an investment. We recommend buying a comprehensive coverage without franchise. Remember that all coverages and franchises will not be valid if you cause the damage intentionally or as a result of a negligence (e.g. if you drive in a prohibited or temerarious way) or if under the influence of drugs or alcohol... And you will have to pay the full amount of the damages! All coverages and franchises will not be valid if you cause the damage intentionally or as a result of a negligence and you will have to pay the full amount of the damage.